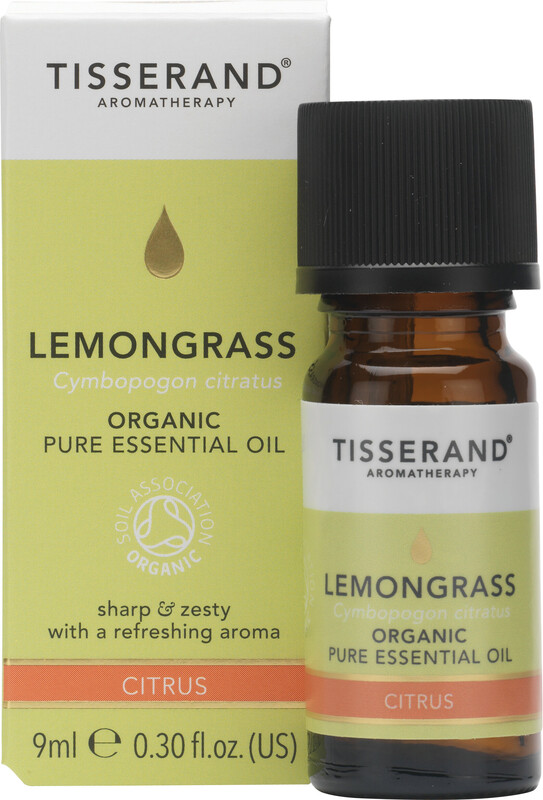 Tisserand Lemongrass Essential Oil is an uplifting and zesty oil with a sweet, fruity aroma. The organic Lemongrass used in this lively essential oil has been distilled from the stems of the grass grown natively in India. Lemongrass Oil is commonly used to treat respiratory and sinus conditions as the strong aromas emitted when vaporised can help clear congestion. Naturally anti-fungal lemongrass can also be used to treat fungal skin infections such as Athlete's Foot. When used as a massage oil it can help reduce pain and inflammation in muscles and joints caused by arthritis and other joint conditions. For massage and vaporisation purposes, Lemongrass blends well with Grapefruit, Geranium and Rosemary Essential Oils. Avoid use during pregnancy. Keep away from eyes. For general body massage, add up to 5 drops of this essential oil to at least 10ml of blending oil. For vaporisation, add a few drops to your vaporiser and allow to diffuse. Before use please ensure you read the Essential Oil Safety Information Leaflet, enclosed in the packaging.